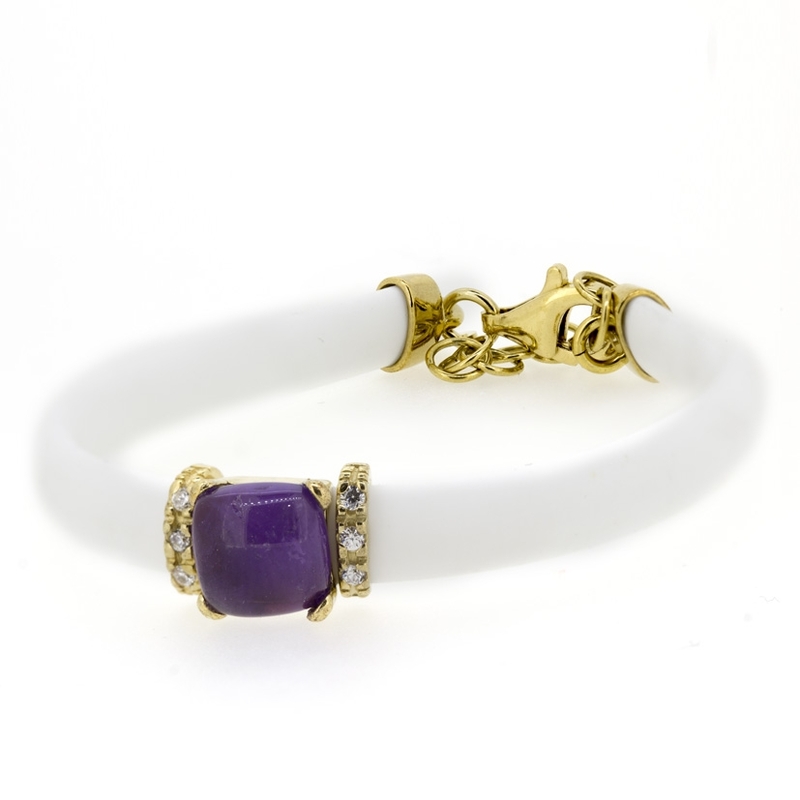 Bracelet white rubber and silver rhodium-plated 925 thousandths with zircon. Have ring game. We deliver in original case of the firm Stradda.